Today was a spectacle for all Konoha villagers. There was a Chuunin exam a brewing, and plenty of prospective Genin looking to grow. There would be some hearts broken, but the Will of Fire to only grow stronger and brighter flames. On this fateful day it'd be Nikuya, and the Hokage's son, Yozei. So the crowd was larger than usual to see how he'd fare. Not only that but the examiners were kept a secret until the actual minute of the match. There had been renovations to the Chuunin exam arena and now the doors were electric powered. The crowds chanted and cheered as exam after exam progressed until it came down to Yozei's and Nikuya's exam. They'd have a few minutes to talk and chat as the last exam finished up before their time came to step into the arena. Everyone would be able to see just how far they came as shinobi. Their waiting room would be a windowless practically locker room like area that had benches, water stations, and snacks for them to prep for their fight. They wouldn't be able to see the arena before their match, and they wouldn't be able to get the specs of it. They'd have to formulate a rough gameplay, and figure out the conditions they were fighting in as they stepped in. Niku's nerves were getting the better of her as she sat, waiting for her turn. Her leg was shaking at a quick, but steady pace. The pair had already been warned that their time was coming soon, so Niku had done some warm up exercises; now she was stretching. Yozei was there, waiting as well. She was a bit of a social butterfly, so she was, at the very least, familiar with practically all the genin in Konoha. While there were too many to count, Niku had likely heard their name or seen them train at some point in the her tenure as a genin. Yozei, however, fell into a slightly different group; they'd met once and briefly sparred with a third genin, until Niku royally screwed up, taking an explosion to the face. To say that Niku felt she had something to prove to Yozei would be accurate, if not slightly understated. Of course, she also wanted to prove her mettle and worth to the Konoha higher ups as well, to prove her grandfather's Iaido wasn't just some minor country swordplay, but that it would could work well even against the shinobi of a great village, like Konoha. The young kunoichi had dreamed of this day ever since she'd watched her first chuunin exam. She had still been an Academy student at the time, but it had left an impression. The idea that you and a couple of your teammates get to show the entire village how much you've grown really spoke to Niku and she just hoped that she'd avoid a fiasco like the last time she'd met Yozei. She'd been a little cocky then, but she'd grown since then. She was more aware of what her fellow shinobi were capable of and understood her own limitations better as well. Truthfully Yozei was also quite nervous about the impending exam. 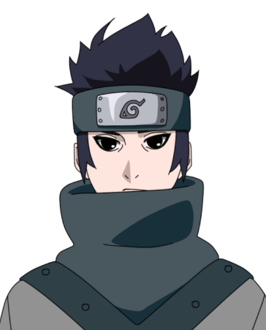 He had excelled in the academy and make strong progress as a Genin, only holding the rank for a year up to this point. There was a lot riding on his success in the exam. He wanted to catch up to Kotaru and prove that he too could attain true power and so too did he want to have more opportunities to see Suzume and take missions outside of the village. He had done his own warm-up exercise and light stretches, sitting on a bench now eating an apple to hopefully quell the nerves that seemed to upset his stomach. He would look at the floor and breathe deeply between bites. To make matters worse he knew that the crowd was exceptionally packed this year and it was largely because they wanted to see how he performed. If he failed or even struggled it would reflect poorly on his father and haunt him for years to come he was sure of it. It was enough to make him doubt if he was truly ready. He had sparred with several Genin and seemed to easily outclass them but did that really mean he was good enough to be promoted to Chunin? After seeing the ability Kotaru possessed in his recent trip to Fur Country he felt incredibly weak. As Niku addressed him however these thoughts washed away. The auburn-haired boy loved to strategize, he often thought several steps ahead of his opponents and blended caution with boldness and power. He knew a little of Nikuya, after all for some time she had been on the same team as his sister. “Yeah” he agreed resolutely, looking up to meet the girls eyes. “You’ve seen some of my ability with Doton. I can also create a dust screen for cover and earth clone’s but my true specialty is Katon. I’m not as skilled in Kenjutsu as I’d like to be but I can hold my own in close quarters using flames to enhance my blade. I also know a variety of fireball jutsu to attack from a mid range. You’re a kenjutsu specialist right? If you attack with hit and run tactics I can time my fireballs to keep you out of harms way, just keep alert out there. If need be I can back you up close to, we just have to be careful not to get in each other’s way so being aware of each others position at all times will be essential.” He explained. It would all come down to how well the two of them could anticipate each other’s movements and attacks. “We can’t afford to be complacent though. I think we should keep up pressure on our opponent at all times but tread carefully until we know what kind of opponent we’re facing. I’ll definitely keep my distance at first and try to expose any weaknesses in our proctor’s defenses.” He informed her. Hopefully what he was saying made sense, it was a bit of a fine line between overaggressive resulting in being injured right off the bat or being too passive and allowing one’s opponent to lead the tempo. "Yes, kenjutsu for life," a slight chuckle escaping through her mouth. She then listened to Yozei's words and advice. It certainly seemed like he had things figured out, he seemed a lot more confident than Niku felt. She realized that she didn't lack confidence in her abilities, but in her ability to perform up to her abilities. She didn't fear that she lacked the strength, she feared that she'd be unable to show her strength. This realization made her feel better, though it hadn't really changed how she intended to approach the exam. As Yozei mentioned being aware of each other and remaining out of each other's way, she was instantly glad that she'd been training in Skitter Step. The style was designed to heighten awareness so she was sure she'd have little trouble in that regard. "Yeah, distance at first sounds good. We don't want to rush into our proctor's sweet spot if we can avoid it," she responded, finally realizing that at least one other person would be involved in this exam. That was, she realized, something you couldn't necessarily plan for: there was no way to know what your proctor was capable of until you got out there are they showed you. Even then, there's likely to be something up their sleeve. There was the off chance that it was someone you knew and had trained with, but even then, they were likely to have skills that you hadn't seen. However, there was one thing she considered but was worried about voicing. This is purposely designed to allow genin to show off their skills: the proctor is unlikely to rush in and knock us out before we do anything, right? I might have time to use Acceleration... she mulled over the possibility, still undecided. "I'll try to use my speed to circle around the proctor at first, dividing his attention and attacking from two sides may help with that," Niku suggested in regards to finding their proctor's weakness. Yozei smiled warmly, he had always been good with planning and tactics. There had been a lot of instruction on combat tactics back when he was being instructed on the way of the Samurai. So much of it was focused on learning history that at that age there had been little more than the basics taught in the way of practical skills. As a shinobi and son of the Hokage he continued to plan carefully and develop his tactics, utilizing a growing arsenal of techniques to his advantage. His concern was the opposite, what if his tactics weren’t enough? What if he simply lacked the raw strength to excel? It seemed fortunate that the two had been paired together. If they could lean on each other and utilize each of their strengths to their advantage they would surely make for a formidable team. There was a lot riding on them to have that natural chemistry and intuition. At least the pair got along well enough in a social setting but who knew how that would translate into combat without proper training sessions. Alas however there was no time for that. The auburn-haired teenager nodded, glad that she agreed with the basics of the plan and had some input of her own. She seemed to have good composure and enough determination. He was interested in seeing just how far she had come since the time they had sparred. Back then he had taken her out with a single explosive tag. She would have to be able to endure far more than that if she was going to pull her weight. For the moment however he wasn’t overly concerned about that. He had a good feeling about Nikuya and trusted that she would play her part well. “Alright then. I suppose that settles it. No sense waiting around any longer. Let’s get out there and show them what we’ve got!” he said with a grin, standing and waiting for Niku to join him before extending his hand for a fist bump. “We’ll win and advance. Both of us!” he vowed, his cerulean blue eyes gleaming with optimism and determination. With that he would lead the way to the entrance of the arena, opening one of the doors and holding it for Nikuya like the gentleman that he was, following closely behind to see just what was in store for them. As the two entered the arena they'd be ushered in with a roar from the crowd. It was quite full, everyone piling in to see the Hokage's son take his Chuunin exam. Albeit they all desired to see what the upcoming Genin had going for them, large part the crowd's size and noise was due to the celebrity in their midst. As they entered the arena they fount it to be quite large, in-fact larger than from the outside. It was one of Konoha's many arenas that was terraformed by the Senju to fit the needs of what the proctors decided it should be. The arena measured easily 100x100x100m with high rise walls protecting the stadium goers. A fuuinjutsu was scrawled on the walls bolstering them to near unbreakable strengths so that way the battle wouldn't spill out. The arena was filled with many stone plateaus rising to a max height of 30m tall and rocks with a river flowing through the middle. The size was to give the genin a chance to plan, lure, ambush, and implement the skills they knew. As they stepped into the arena the announcer gave a brief explanation of what the Chuunin exams represented, those participating would be demonstrating their skills to the panel judges, and the genin should give it their all. With final lucks and wishes upon the genin, the exams begin, and they started off with a bang. As the genin started two large stone plateaus near them exploded from some tags hidden on the back as it blasted large debris and rocks towards the duo. Up on-top of one of the plateaus stood their target draped in a dark black coat that contrasted against the red clay stone plateaus, and the proctor wore a dark blue featureless ANBU like mask that hid their identity. With his first move dealt, he would see how the duo would react. The young kunoichi nodded as the two genin headed out for their exam. As her concentration rose for the coming challenge, her nerves lessened. It wasn't something she could control, but Niku had been training for this day for a long time and her training was taking over, pushing the concern and nervousness out of her mind and body. Even as she walked, she noticed her body loosening up and feeling more comfortable to control. It was like some invisible weight had been removed from her body and she was now able to move as she'd been trained to move. The roar of the crowd, however, brought some of that tightness back. Niku had been to chuunin exams before and they weren't usually this crowded. Oh, she thought, her head nodding in realization. they're probably here to see Yozei, the heir apparent of the great Hokage. She wasn't sure if she should be relieved that this massive crowd wasn't really here to see her or if she should be more nervous that she could cause Yozei to fail and upset the entire crowd. It was definitely a mix of emotions as she took in the arena. Hmm, pillars of stone, rivers, rocks, there's lots of room; that's for sure. she mused, her eyes trying to take everything in. Hearing the announcer wish the best to the genin made Niku realize that the whole thing was about to get started. Rather than playing the long game, Niku decided that she wanted to start off strong. So she took a moment as the announcer was finishing up to focus her body and then released it almost at the same time as the proctor set off the explosives. Whether on purpose or not, this was a strong reminder of how Niku had failed in the spar with Yozei previously - chunks of earthen debris rushing towards Niku. This time, however, Niku wasn't as close and was more able to react thanks to the training she'd undergone since then. While she wanted to ensure that Yozei was safe, she had faith that he could handle himself. Besides, if she spent all her time helping him or trying to help him, they'd never be able to get off the defensive. Looking towards the incoming debris, Niku determined that she was better off going right and she moved accordingly. She hoped to avoid the larger chunks by escaping to the outside of the debris and she was mostly successful, rushing through some small chunks and dust. Every step she made rang through her ears, as did the crashing of chunks of earth with the wall or ground. The colors from the arena were brighter and more easily decipherable. She could make out the cheers of the crowd, even catching a whiff and beef from some who'd decided to bring a snack to the festivities. Despite the rush of stimuli, Niku had trained for this and was able to properly sort the information based on its usefulness. At this moment, the proctor's location, atop one of the plateaus, was most relevant though she wasn't sure how to get to him with his raised position. She wanted to take cover, but she also couldn't ignore the fact that he may have other traps placed throughout the arena. Assuming a rock or plateau was mundane had proven to be her downfall in her fight with Yozei, she didn't intend to make the same mistake again. For the moment, she just kept moving around the outside of the arena, hoping to place the proctor between herself and Yozei. The main jutsu of the Skitter Step, Senses Open does exactly what the name states. The user takes a moment to focus their bodies, then releases it. While in this stance, the users sensory input is increased, allowing them to receive more information quickly. This causes a +2 in Taijutsu, and a +4 in speed, but a -3 in Ninjutsu and -3 in Control. This stance will remain in effect until deactivated by [Stop]. Practitioners of this technique will find themselves fidgetting and constantly moving, which can make it difficult for them to use this style while on stealth missions. Yozei had felt mostly confident and calm in the waiting room but entering the arena and taking in the sheer size of it and the roar of the crowd and he couldn’t help but feel this might have been more of an undertaking than he had prepared for. He knew he was among the top Genin of the village but he didn’t really possess any kind of extraordinary ability or talent. The crowd was surely expecting greatness from him and for a moment he wondered if defeating the proctor alone would even be enough to earn their approval. He was expected to put on a show and make it worth the money they all spent on this spectacle. It was something he hadn’t considered in any great depth, up until this point he had been focused only on a simple goal, the actual logistics of the exam and not this additional pressure that he now felt. Despite the anxiety he now felt the young Genin kept his eyes up, assessing the arena they had entered. It was far larger than anything he had anticipated, adding another layer to the challenge. There were now many environmental factors to consider and more opportunity for strategy on both sides. “This terrain seems to favor someone like my father; a tracker skilled in elemental ninjutsu and ambush tactics. It’s possible our opponent may be weaker in close combat” he speculated. Of course in this way the proctor would not be similar to his father though their opponent was supposed to be a Chunin and therefore would surely have more weaknesses than someone as versatile as the Hokage. Yozei had to think quickly if he wanted to perform any jutsu right out of the gates and came to the conclusion that there was no real disadvantage to starting off with his earthen armor. He had to expect attacks from anywhere and having a little extra protection would come in handy and once in place the armor wouldn’t require any extra chakra to maintain. Channelling chakra throughout his body the armor would begin to manifest around him. Slowly his clothes would be encased in finely detailed stone that resembled the piled plates and designs of ornate samurai armor, including even a helmet and shoulder guards. He would still have access to the sword at the left side of his hip as well as his weapons pouches filled with kunai and other such shinobi gear. His eyes, nose and mouth would remain uncovered as would his fingers though the backs of his hands would be protected by stone. As the armor was manifesting however the pair of Genin were welcomed by explosions of rock. The pair of pillars collapsed as the midsections were projected towards them in a moderately powerful explosion. Niku was a few steps ahead of him, quick on her feet and agile he followed her lead as she rushed off to the right. He knew the importance of sticking together, such an attack was great for splitting up opponents and causing confusion to take advantage of but Yozei wouldn’t allow their proctor to claim such an advantage. He would move swiftly himself, running behind Niku as his armor completed around him. A few chunks of earth would strike him though the blows were grazing and had little effect with the relatively strong armor that he had in place. With the adrenaline that coursed through his body with this sudden attack he didn’t even feel or notice the glancing blows. His ears were ringing and there was some dust in the air but he kept his focus and stayed close to his partner, moving out of the path of the debris and scanning his surroundings once more to see the proctor standing atop another colum. The mask he wore left an unsettling feeling in his stomach, it certainly reinforced the impression that this was no ordinary Chunin they were facing though they still hadn’t actually seen any of his abilities. “The way that explosion activated, that wasn’t Doton ninjutsu, just explosive tags or maybe a Fuuinjutsu seal” he assessed, ever quick on the analysis. Understanding their opponent’s talent and fighting style would be crucial in determining a strategy for success. With that small input he noted that Niku continued to run in a wide arc. The Genin nodded to himself, understanding her plan. Splitting up on their own terms was something he could work with. She was faster than him and more easily able to get around behind their opponent. He would therefore attempt to keep the proctor’s attention on himself and further discover his fighting style and any weaknesses he might have. Tossing a tagged kunai at the man with 8 Strength and Speed he would rush for cover, darting behind another stone plateau as he peered around the edge and formed the handseal to detonate the explosive tag as it came within effective range of his opponent. He would be able to glimpse how the man defended against the rather straightforward attack and discern some more information about him. Next he would form a very brief set of seals, manifesting an earth clone in front of him which he would attach 3 explosive seals onto its back before flowing chakra into the ground and sinking into the earth leaving behind only his clone who pressed its back against the column it hid behind and waited. For now Yozei would stick to Doton ninjutsu and cautious tactics until he could figure out how his opponent fought. Once he was more confident in a strategy then he could really turn up the heat. Channelling chakra throughout one’s body the user will encase themselves in a semi-malleable rock armor. The rock takes on the appearance of an ornate samurai battle armor, complete with a removable helmet as well as shoulder guards. The many tiles overlap and cover his arms, chest and legs utilizing dark brown coloring and a thinner layer of rock between the tiles and along joints. Though the back of his hands are protected the palms and fingers remain bare. This armor forms at a speed of 5 and possesses 15 strength. After forming the needed hand seals and flooding the ground around them with chakra, the user will cause a clone to materialize out of the ground. The clone is made of rock, and is quite strong and durable, but can only move within a quarter mile of the user. The clone is only able to use taijutsu attacks, and has the following stats: 2 Taijutsu, 4 Stamina, 5 Strength, and 1 Speed. After flooding the earth below them with chakra, the user will submerge into the ground. The user can then dig through the earth with the use of chakra. In the first post, the user may only move into the earth. In the following posts, the user can travel underground, up to 10 meters deep for up to 5 posts before needing to recast the jutsu. The maximum distance the user can travel is 30 meters per use. Additionally, the earth can only be moved at a maximum speed of 10, limiting the user’s speed at which they can travel through the ground. Using this technique does, however, create a tunnel of sorts, allowing the user to create a series of tunnels for various purposes. The masked figure watched as they split up, his expressionless face and shadowed eye slits made it all the more ominous what was going on behind the mask. A lot of times in battle, reading your opponents face was key, but this was going to be no easy feat for the duo. The masked figure watched as the two darted to each side with an explosive kunai slung his way from Yozei he quickly darted towards Niku as the kunai exploded where he once was. He aimed to put pressure on Niku as lightning encased his hands as he began to perform a palm strike with his hand glowing blue with ninjutsu ushering a second blast behind the palm strike attempted at Niku's chest. If it made contact she'd fly back a few meters. If he had struck Niku he'd reach back into his pouch and pull a kunai slinging it at Yozei's clone through the arm. After channelling chakra into their palm, the user will strike harder than usually performed in Jyuuken. While normally the softest touch is enough to inject the chakra to damage the internal structures of the body, this technique is designed to accompany the user's attack with a blast of chakra, throwing those with a strength less than the user's [(strength+control)/2] back 5 meters through the air.